Our love story began in 2010 whilst working in Pizza Hut together. I was Jordan’s manager but this didnt stop him from making the first move! 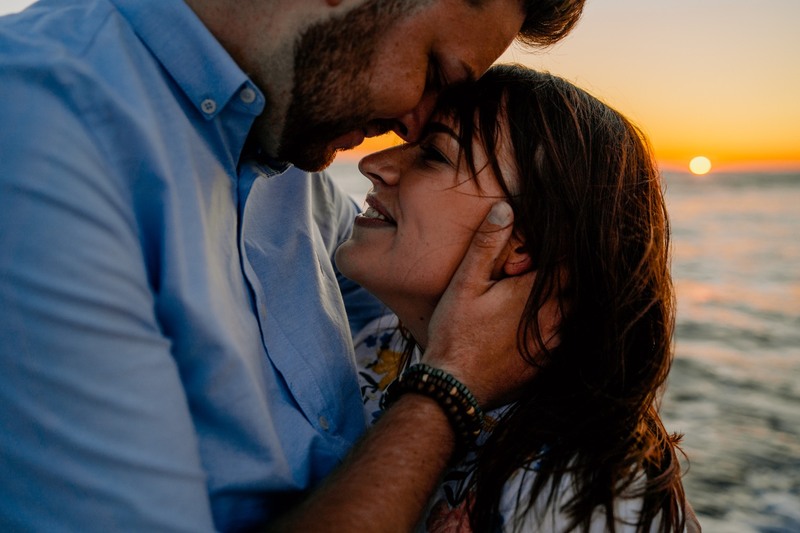 Everytime I glanced his way, his eyes would ALWAYS be looking into mine, he would give me a cheeky wink and smile, before plucking up the courage to speak to me and ask me out on our first date. Our first date was at Joes Ice-Cream Parlour in Oystermouth, before heading up to Oystermouth Castle to eat our ice-creams. Jordan tried to be romantic by feeding me ice-cream, however it ended up all over my top instead!! Safe to say he was a bit embarrassed. A few months later, we went travelling together for 3 months, many people said it was either make or break for us, 8 years later we are still going strong! On our return to the UK, we moved straight in to our first house together and adopted a crazy cat – Buttons! In August 2016, Jordan booked the best holiday ever to Florida (I had never been but always wanted to go!) We had an amazing day in Disney World, before heading out for a romantic evening where Jordan surprised me by taking me on the Orlando Eye during sunset. When we reached the top, I was happily taking photos of the amazing views when I turned around and saw Jordan on one knee and speechless – for once he couldnt get his words out! When he finally asked, without hesitation I said YES!! We decided we wanted our engagement shoot to represent our first date in Joes Ice-cream and in Oystermouth castle, before heading Llangennith beach, where we’ve spent many summers together! Richard Savage Photography really captured these precious moments and re-lived our first date memories. We are very excited to get married surrounded by our wonderful friends and family and to start a new chapter in our ‘love story’ as Mr & Mrs Prosser.